Drawing prehistoric sharks takes some serious skill — and it's not just because of the freakish anatomy. If you've ever seen a medieval drawing of a sperm whale, you might be not wrongly convinced that there were around 4 different species of sperm whales. That's because every drawing done of sperm whales in the 1500s or earlier portrays the whales as beached on land. By default, that means the whale is dead, or will die very soon, or has died a long time ago. So all these drawings of the same species of whale ended up looking wildly different from each other, all because these whales all died in different ways in different timelines and all decay very differently. Some of these whales have bulging heads and spiraling tongues, and others have melon-shaped tumors all along their body. 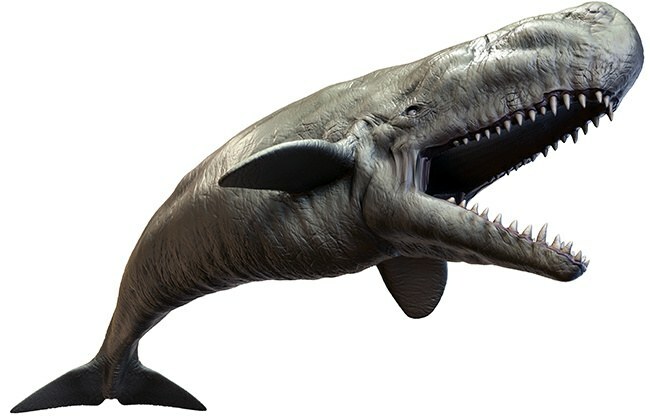 Of course, none of them really looked like what a sperm whale looks like when fully alive and swimming under the water. The same problem persists with prehistoric sharks. In fact, it's even worse. Scientists have no recently dead bodies of prehistoric sharks from which to draw their inspiration, as prehistoric sharks lived millions and millions of years ago. All they have to go off of are skeletal remains, incomplete fossils and a vague idea of what a prehistoric shark with teeth like serrated shears would look like in the human imagination. At last, Atlas Obscura published a profile of a man, Aaron John Gregory, whose job it is to imagine what these dinosaur-like fish looked like so long ago, in their prime, before being reduced to a pile of bones in sandstone. Scientific illustration is a tricky field, as it manages to straddle the fact-based logic as well as an artistic creativity. Unlike scientific illustrators who draw from complete bony fossils of dinosaurs, Gregory has much less to work with when it comes to soft-bodied, cartilaginous sharks. For example, look at Edestus giganteus, a prehistoric shark over 20 feet long with serrated shear-like teeth. Gregory draws Edestus in what he imagines as its fully monstrous form, while other illustrators render it somewhat similar to modern-day sharks albeit with confusingly menacing teeth. With Edestus, the only fossilized remains come from the shark's jaws, so Gregory had a lot of room imagine what kind of spine and body could support jaws that big. In his spare time, Gregory pays in a band called SQUALUS, which is, of course, the Latin name for “shark."